It’d be tough to blame you if you took one look at Amazing Discoveries in Outer Space and wrote it off as some chintzy indie game not worth your time. 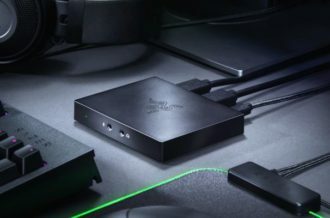 It’s got a cute look, but it’s probably not going to impress at a glance, and when there are so many incredible games these days vying for your time and money, you can’t go blowing it on anything less than stellar, can you? Admittedly, we went in with the same preconceived notions. When you’re playing a game for review, you try not to judge it too much before you get your hands on it to avoid confirmation bias. 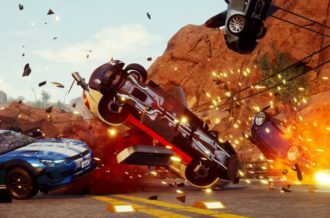 You want to give every game a fair shake, but all the same, it’s impossible not to make some kind of judgment when you see a screenshot or a trailer. 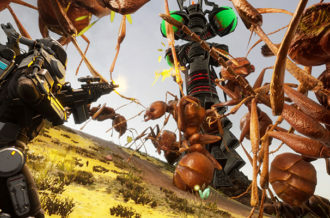 It’s too bad ADIOS gives off the impression it does, then, because it’s actually an interesting blend of the harrowing roguelike formula we’ve seen in games like Spelunky with an outer space setting that channels vibes of Christopher Nolan’s Interstellar film, and very much worth your time. 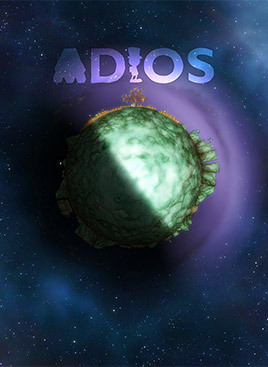 In ADIOS, you play as a funny little astronaut with teensy little legs, no arms and a massive blue orb of a helmet. You’ve got a humble spaceship with an onboard computer laced with a dash of sardonicism, and you need to find your way home. That’s the basic premise in ADIOS, and that’s where the game starts to look a little like Spelunky. In that game, you played as an adventurer akin to Indiana Jones, hunting for lost treasure inside increasingly dangerous caves. While you could comb the depths of each level at your own peril for any valuables, helpful items or secrets, ultimately your goal was simply to make it to the end of the stage and progress further. Every level was randomly generated, so you never quite knew what to expect. 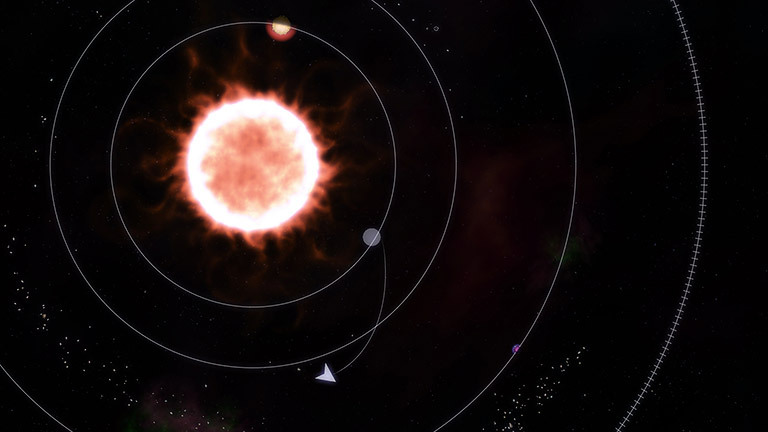 ADIOS operates in a somewhat similar fashion: each of the game’s three missions starts you in a randomly generated solar system, tasked with exploring the nearby planets and asteroid fields to make enough amazing discoveries to jump out to the next system. All you need to do to make a discovery is get close to anything flashing: a box, a wayward satellite, a busted-up space station, a grizzly alien life form. Once you meet a specified threshold, you can clear some space for yourself then warp out, or you can continue exploring at your own risk. Each system is procedurally generated, so even if you die and need to start over, you’re still going to have a fresh experience. There’s treasure to be found, secrets to be uncovered and danger to be avoided. Death is all too easy to come across in ADIOS, but the fuel required to press on is not. Fuel is your lifeblood in ADIOS. You burn fuel doing almost anything: using your ship’s thrusters, exiting your ship to explore on foot, repairing your ship, healing your little astronaut. It’s a scarce resource, and as they say in outer space: “You have to spend fuel to find fuel.” Fuel is your incentive to keep exploring, to push forward into uncharted territory you might not have explored otherwise, to fly just a hair too close to the sun. It forces you to conservatively plot your trajectory toward your goal, then gingerly pull on the right trigger to eke out the bare minimum of fuel required to propel yourself toward it, relying on the physics of momentum in space to make it. You can find fuel in a variety of ways, but it’s not always a simple task. Sometimes you’ll find it as pellets or oil drums easily picked up and delivered to your ship on a friendly planet; other times, you’ll have to sprint back to your ship with a gargantuan alien in tow. Sometimes you can leisurely sap power by tethering to a peaceful space station floating on the outskirts of a system; other times, you’ll need to carefully navigate busy asteroid fields to make your way to a broken station, requiring you to tether, hop out and manually fix it before you can get power — all while careening wildly around an angry star. And that’s where you’ll start to feel the shades of Interstellar. In Nolan’s film, several astronauts are tasked with a last-resort mission to find a suitable planet for humans to colonize and flee to from an Earth harvested to the breaking point and rapidly becoming uninhabitable. As the astronauts travel to unknown planets to check on potential signals from a previous mission, they encounter extraordinarily dangerous or barren planets, casting doubt on their plan to save humanity. ADIOS likely isn’t intentionally drawing inspiration from Interstellar, but the vibe is there all the same. As you survey each system from the game’s pulled-out view of the entire area, you can glean some useful information about where to go next, but you won’t be able to tell what it’ll be like when you get there. A planet that looks innocuous from a distance could be incredibly hostile once you land. There could be harsh windstorms, carnivorous aliens, molten patches or other hazards. Here’s an example: You approach a planet only to find a massive, ancient maze-like structure blocking access to the surface; your only choice is to land your spaceship on top of the maze and make your way down on foot. Bits of fuel are scattered throughout, but the gravity at the top of this maze is so slight that every jump you make has the potential to send you flying off into space if you’re not careful. After cautiously moving some fuel back to your ship, you start to head down to the surface. It’s mostly barren, but there’s a broken satellite down here sure to net you some extra juice if only you can figure out how to get your ship through the maze. Just as you start to repair the satellite, an asteroid burns through the sky and explodes on impact, injuring you. You brush yourself off and try again, but another asteroid rips into the planet, leaving you near-dead. The planet’s orbit must be taking you through an asteroid field; you resolve to cut your losses and get back to your ship. But when you jump up toward the nearest platform in the maze, you find that the gravity on the surface of this planet is so strong you can’t make the jump. More asteroids are pelting the surface, threatening to kill you, destroy your ship or both. You have to think fast to survive. Once, we moved to land on a fast-moving planet, not realizing until we entered its atmosphere that it was in actuality spinning wildly out of control — and on fire — after a collision with the star in that system. The planet swatted us away and continued on its volatile, unpredictable path, nearly killing us. Those kinds of exhilarating and terrifying experiences are standard fare in ADIOS, and oddly enough, one of the benefits of the game’s basic art style: it’s not a technical powerhouse, so more is possible. 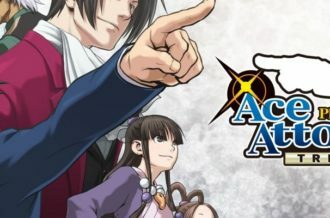 There’s a sense of freedom and fluidity to the movement and navigation you get with a smaller game like this that’s difficult to achieve even with a bigger budget in a more demanding game. You can pull the map in and out in a flash, zip around a system with ease, hop into a fast-moving asteroid belt, crash-land onto a planet, watch dozens of asteroids crash down around you, or fly directly into the sun and you won’t manage to dent ADIOS‘s frame rate or incur a load screen. You can fast-forward the action to wait for the planets to align so you don’t have to burn additional fuel just to save time. 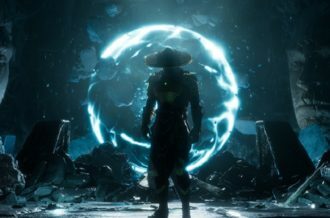 These are the kinds of gameplay mechanics bigger, more visually complex games would have to concede for technical reasons, but ADIOS prioritizes satisfying and unique experiences, and it’s all the better for it. 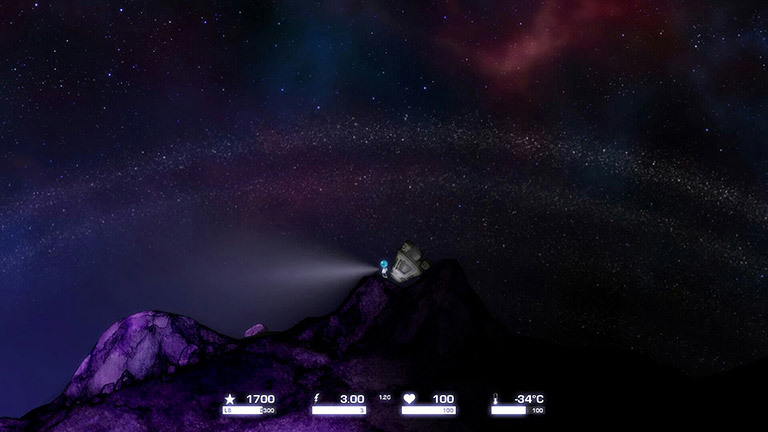 If you’re a fan of games like Spelunky and FTL: Faster Than Light — roguelikes with a penchant for precariousness and uncertainty — you owe it to yourself to give Amazing Discoveries in Outer Space a shot. 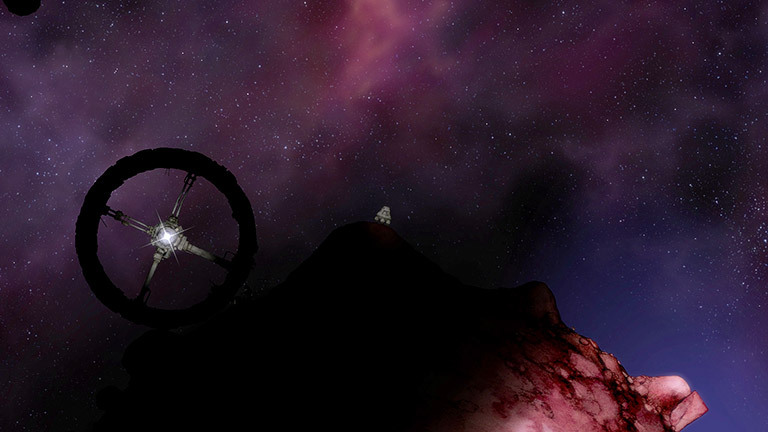 It’s an inventive game that skillfully captures the perils and intrigue of space exploration, wrapping it up in an endlessly replayable package.